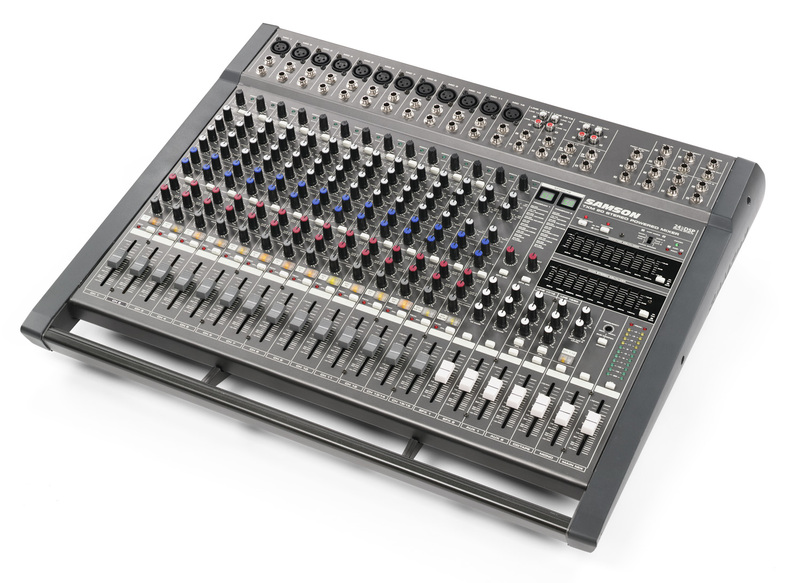 Samson's new TXM powered tabletop mixers feature recording console specs, studio quality effects and loads of power, designed as an all in one portable yet powerful solution for live sound applications. 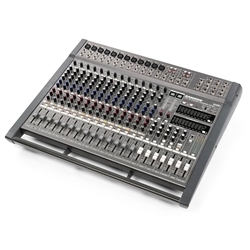 The TXM20 is a 20 channel powered mixer, with selectable power amp mode settings for 500 watts of power per channel, or 1000 watts in bridged mono. It features 12 high-quality microphone preamps with phantom power, channel inserts and low cut ﬁlters. 1/4-inch phone and Speakon® outputs. 3-band EQ pre channel, 4 Aux sends, and dual internal 24 bit effects processor with 100 preset programs. There is 1 stereo 9-band graphic EQ for the mains plus 1 mono 9-band graphic EQ for the monitors, and a mono sub output with variable low-pass ﬁlter. All of this plus a large metal carry handle make the TXM20 equally suited for gigging musicians or in ﬁxed installations.